A luxury-loving family man brings back an early-20th-century period for pleasure aboard his modern 163-footer, CRN's Latona. Italian superyacht builder CRN has released a 163-foot custom yacht, Latona, which combines new world exterior styling with period-perfect interior design—thanks to the Zuccon International Project who blended modern styling with lines from 1960s-era CRNs. 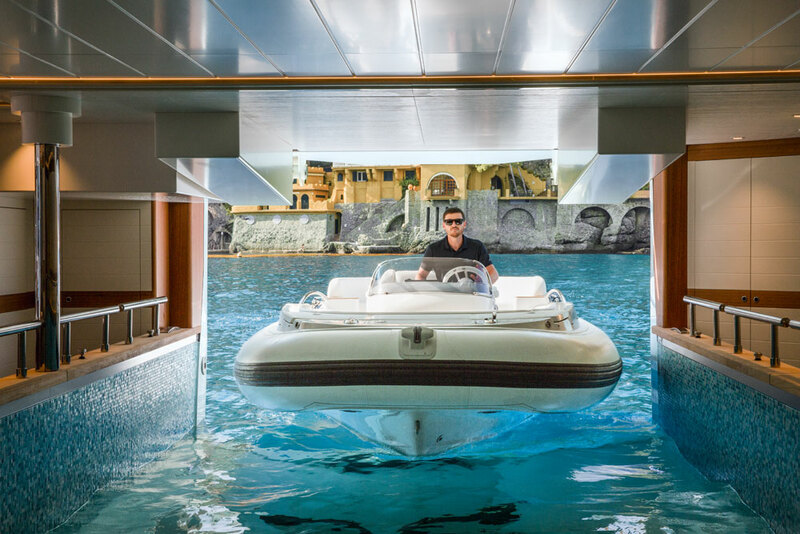 There is no shortage of mega yacht amenities, including the drive-in tender garage, where the floodable bay becomes an indoor swimming pool when the tender is away. 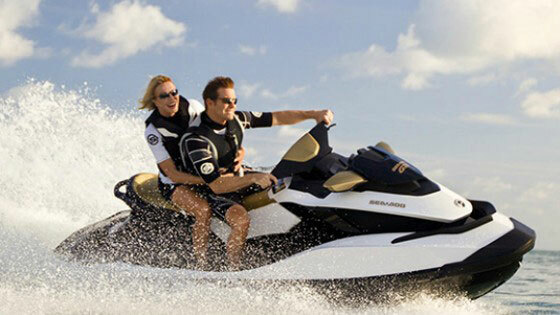 See all listings for mega yachts, or find out more on our mega yacht explore page. When we hear of a new-build mega yacht featuring a throwback interior design, we often assume the exterior styling follows suit. For instance, a few shipyards around the world have built authentic-looking replicas of famous craft such as J.P. Morgan’s Corsair. 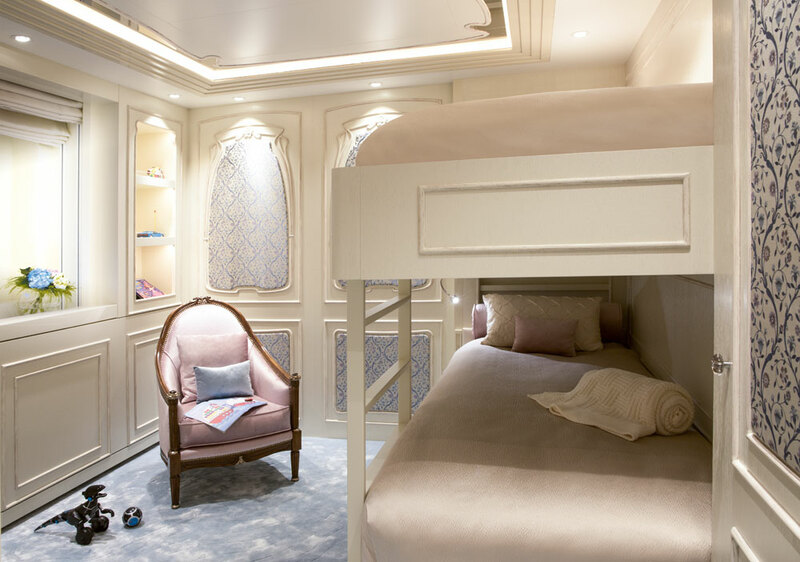 Complementing their yachts’ profiles, the interior designers have sourced craftspeople to make period-perfect furnishings. That’s not the case with Latona, however—even though, interesting enough, her profile does incorporate some decades-old features. 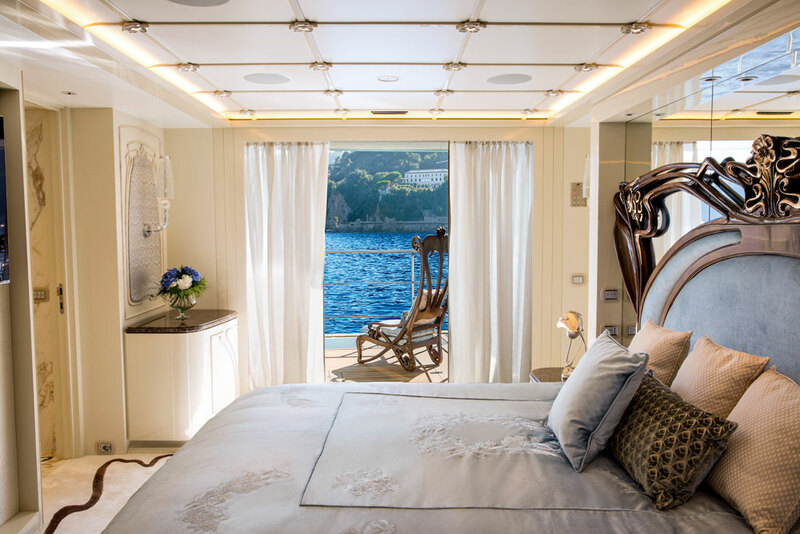 What makes this 163-foot custom yacht from Italy’s CRN so noteworthy is how she artfully blends design elements from wildly disparate periods. Zuccon International Project blended modern styling with lines from 1960s-era CRNs. The latter period was when the yard built a project known as a Superconero. 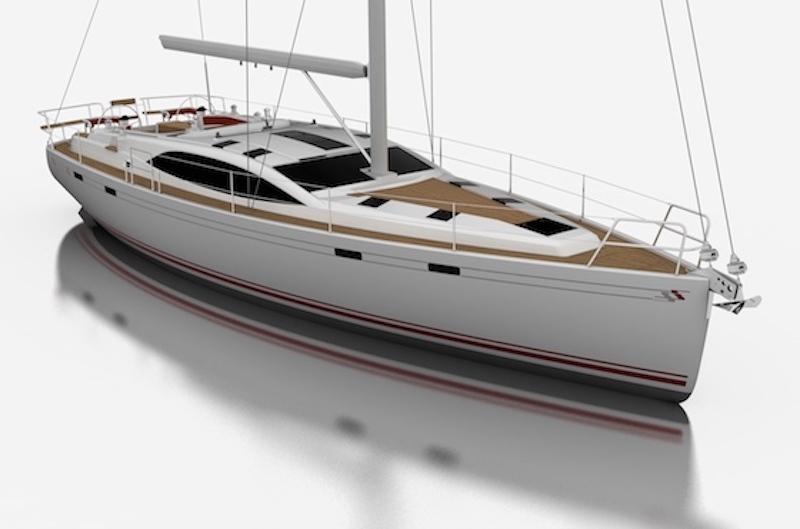 On another note, the paint tone subtly changes depending on where the yacht cruises. It plays off the sea and sky, as the owner wanted. Step inside Latona, and you’re immediately transported to the Stile Liberty period of the early 20th century, the version of Art Nouveau that was popular in Italy. Note the ribbon-like detailing beneath the dining table. It also rims each room, alternating in stone, wood, and fabric. 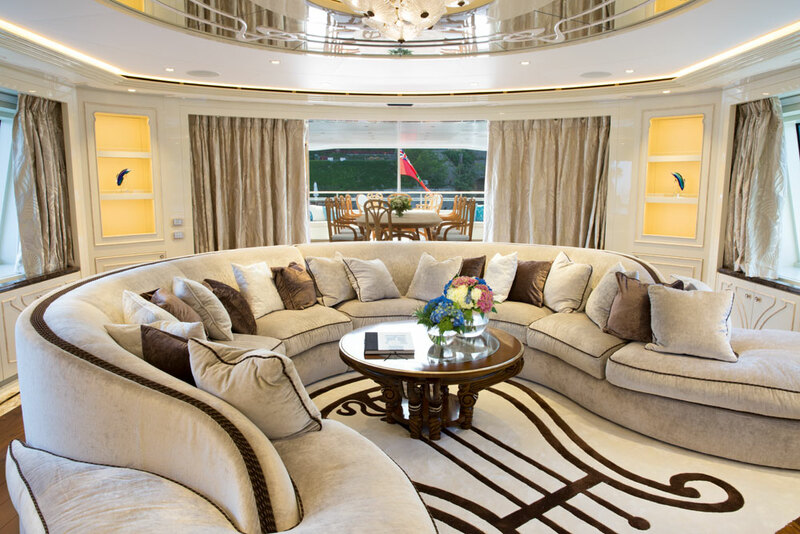 As much as the curving settee gets attention in the upper-deck lounge, the showpiece is the lyre in the carpeting. The harp-like musical instrument was a common design theme in Stile Liberty and Art Nouveau overall. 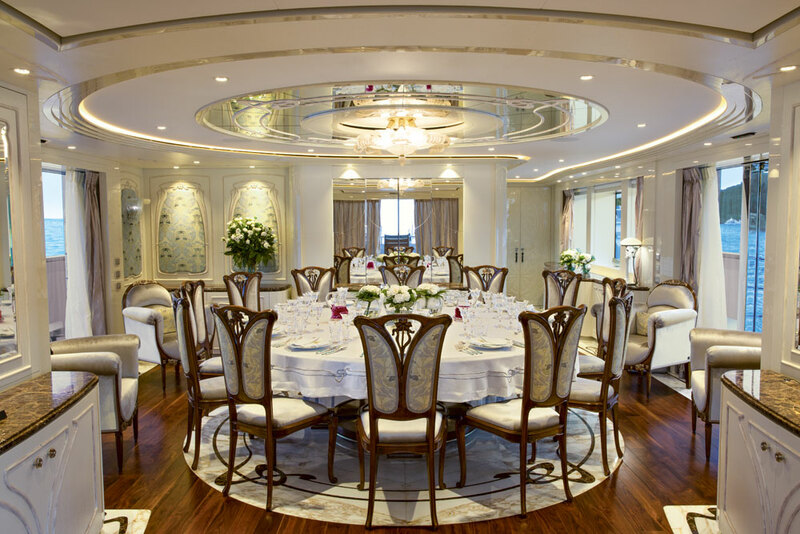 The elaborate interior doesn’t mean Latona shuns modern megayacht amenities. In fact, the owner embraced popular features like the fold-down balcony visible here in the master suite. Yet another balcony is in the suite, this time a fixed, cozy smoking area with an opening window. 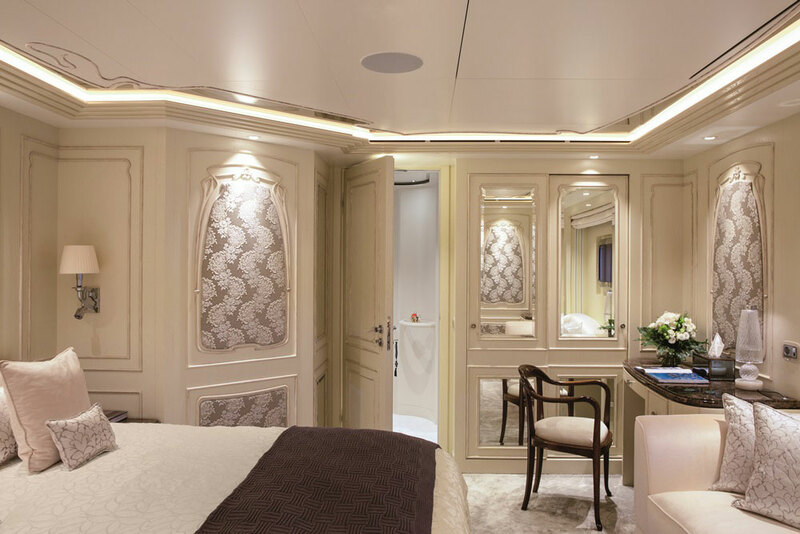 Guest staterooms show off the Stile Liberty décor quite effectively. Note the boiserie, fabric insets within raised, almost sculpted frameworks. 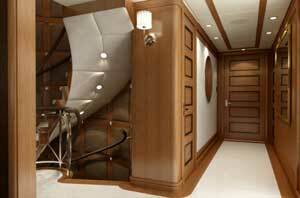 CRN’s own design department and Zuccon International Project comprehensively studied the period for authenticity. While the paneling appears to be painted a creamy tone, it’s actually walnut with a silvery pickle finish. Here’s something the small set appreciates as much as the adults, too. 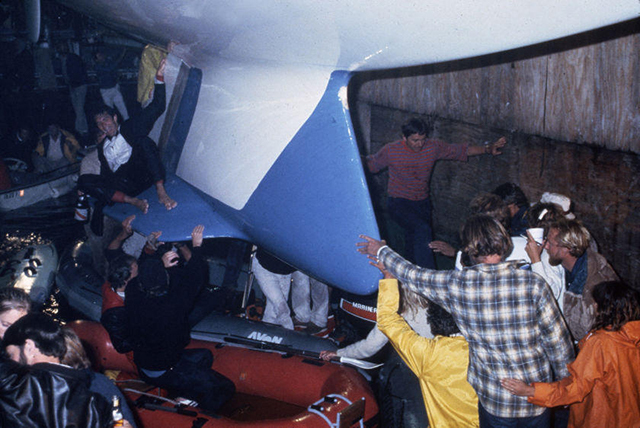 Latona has a drive-in tender garage, where the floodable bay becomes an indoor swimming pool when the tender is away. The bay is also part of the beach club, so the adults can easily keep an eye on the kids from the seating area. This is the rest of the beach club, perfect for sitting and admiring the view at anchor. It’s also perfect for jumping into the ocean for a swim, stretching out on a lounge chair, and generally enjoying each other’s company. 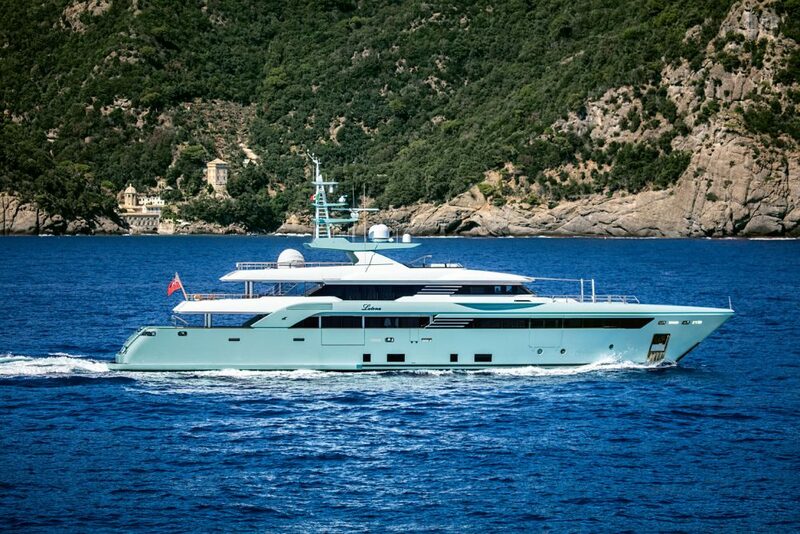 The owner of Latona sought out CRN because of previous experience with its sister brands. 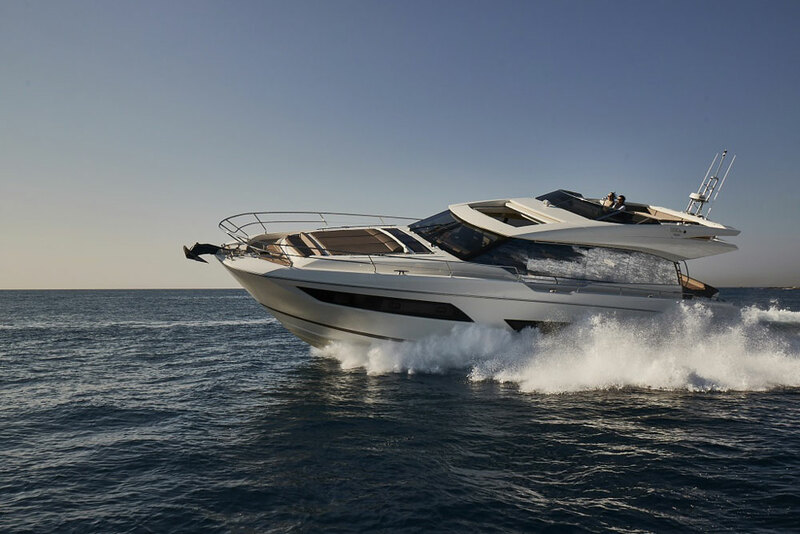 CRN belongs to the Ferretti Group, the same parent company for Ferretti Yachts and Riva. Each of them had built yachts for this client. 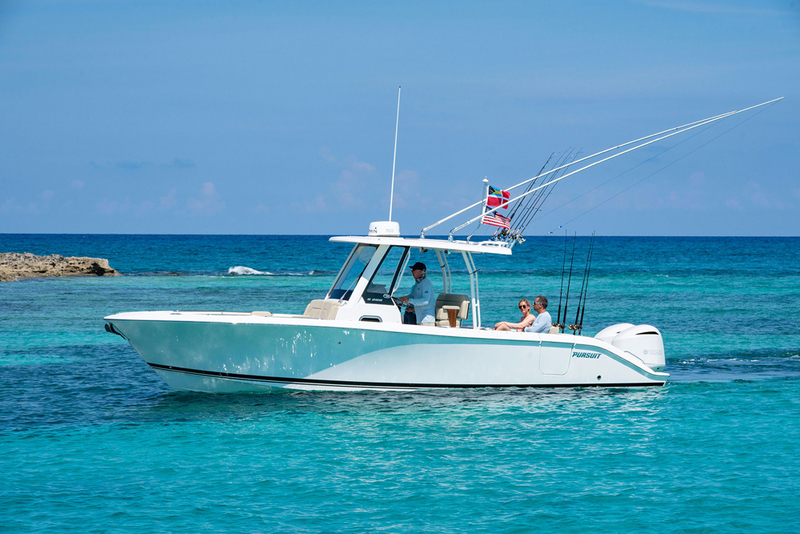 Granted, the two boats were far smaller—the Riva, for example, was a 33-footer—and neither was custom. 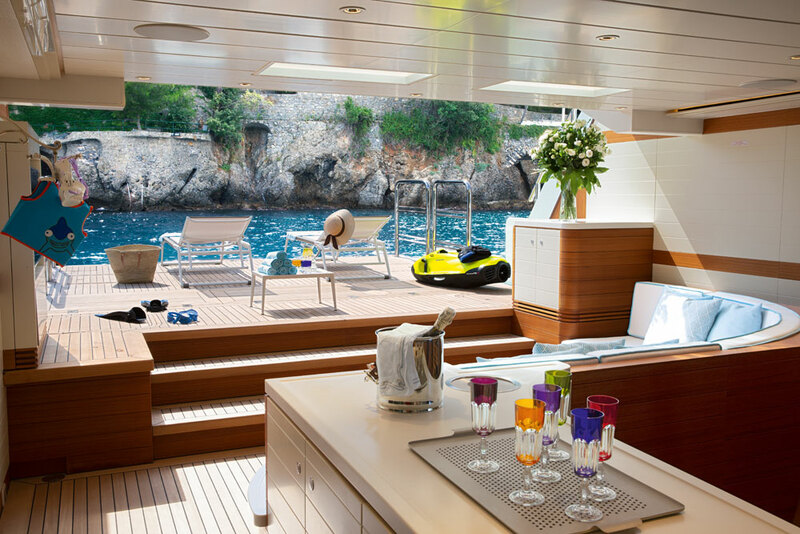 CRN’s focus on tailoring everything from hull design to interior decor suited him. His quite-specific vision certainly challenged the design and build teams—but then again, that’s the pleasure of custom construction for shipyards and studios.